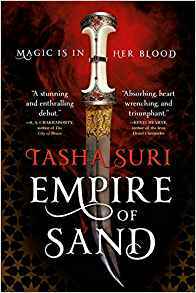 Last week we missed a title by a debut author, Tasha Suri. As we look out at this week and the month of December, we haven’t seen many titles heading for publication. As always, if you know of any, please let us know in the comments what we might be missing.